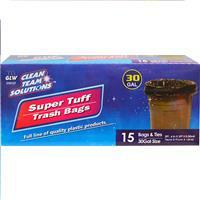 Wholesale Trash Bag. 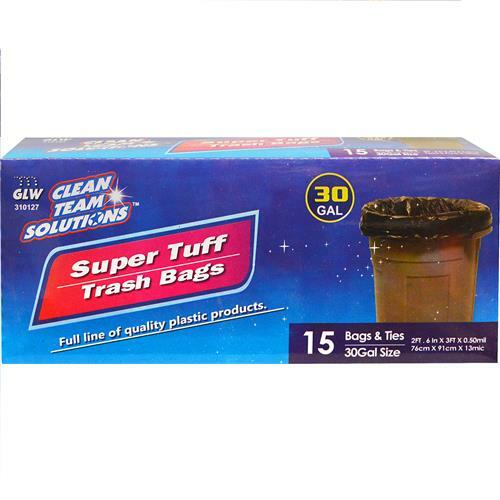 Super Tuff 30 Gallon Trash Bags are durable and protect against leaks. Comes with bags and twist ties. 15 bags per box. 24 boxes per case. 12.99" x 9.06" x 14.96"